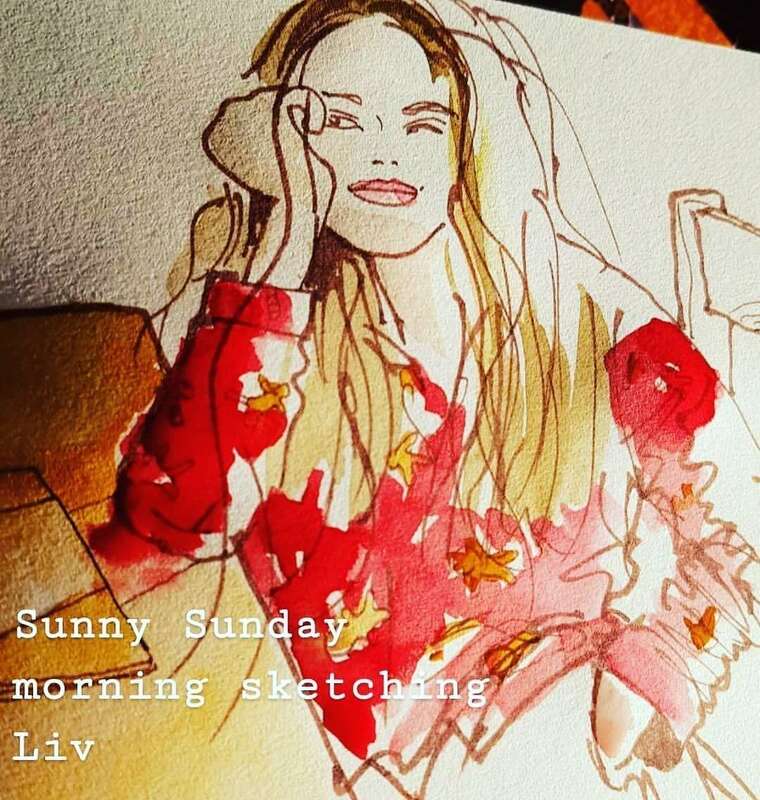 Here is a sketch of my girl Olivia, or Liv, which I did on Sunday morning. The sun was streaming in through the window and she was all lit up. She was patient for about ten minutes, so I had to be very fast. I was pleased with the sketch but then my cough was considerably softened as the shafts of sunlight went on to light up cobwebs and dust everywhere. Most unsporting on a Sunday, but once seen they could not be unseen, and the next half hour was spent pushing the hoover around. This all took place in one room; it was a particularly bright shaft of sunlight. I phoned my dad the other day – Aldi had a couple of new bread flours in, and my father is a great man for making home-baked bread. It’s an interest we share, and we frequently swap recipes. After we chatted about malted flakes in this new bread flour, cracked wheat grain that I overpaid for but don’t regret and the potential quality of the rise, I thought he’d be a good candidate to tell about the giveaway on my website. “You know we charge for some of my articles, right Dad?” I said. I cut across him. “And we’re doing a giveaway on my website of tokens to access articles on my website,” I continued. “We were given them by the guys who created the system. To get more people into the habit. It’s a free gift. All you have to do is comment on my website to get 50 actual tokens. Will you do it?” I figured if my dad could do it, anyone could. “Anyone in their right mind will stay away from cryptocurrency,” said my father. “I wouldn’t trust that,” said Dad. He said there must be a catch, and I was tempted to remind him that I am his daughter, and the chance of me trying to trick him were probably small. Eventually he said he would write a comment but I’ll believe it when I see it. Meanwhile, he’s already bought the flour, which was a trip to the shops, whereas commenting on my blog would be poking the keyboard a bit in his comfy living room. Oh well. Thanks Geri! I was very patient. It gives you a bet different perspective when you’re looking for something to write about… Pesterer beware! Help – I’ve Been Paintjacked!